There’s no denying that the bike culture in Buffalo is getting more and more popular by the day. Bike lanes are being added to streets, bars and restaurants are adding bike parking, and there are even ice bikes for all you winter bicyclists out there. But where should you go once you hop on your bike? Glad you asked. The Old Neighborhood aka Old First Ward is a lot closer to all the action than you may think. 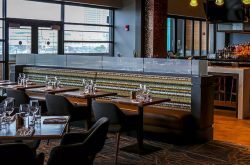 Whether you’re coming from downtown, Canalside, South Buffalo, Lackawanna, or anywhere in between, next time you’re out biking around make the Old Neighborhood your final destination and we promise you: you won’t be bored…or hungry…or thirsty. 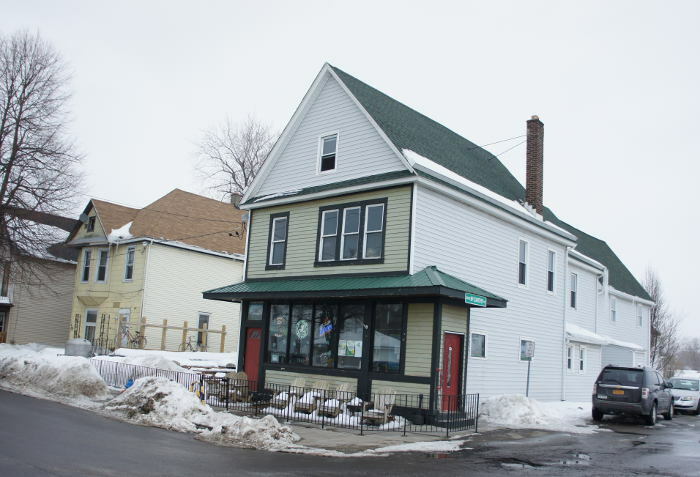 Mazurek’s Bakery is one of the oldest in the City with its opening day dating back to 1933. 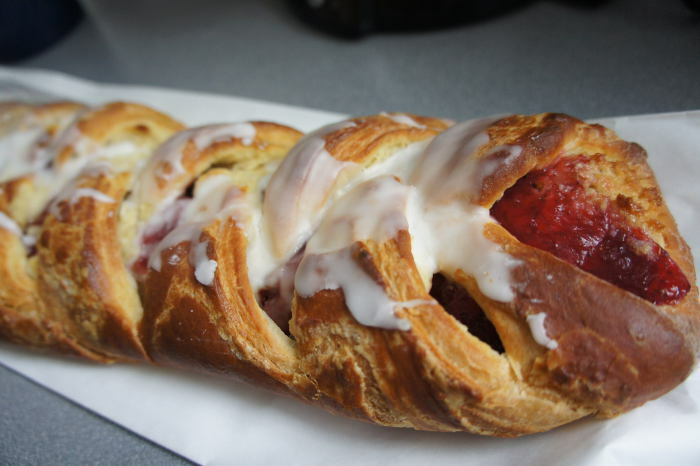 An old-time Polish bakery, you can find everything from cheesecake, placzek, poppy seed logs, fresh breads, pastries, cookies, cakes, and desserts made fresh in their 20×30-foot brick oven on their shelves. For a good time try an almond loaf and forget about your diet for the day, you’re biking off the calories anyways. Often called “the best kept secret in town”, we’re making sure this secret is officially out. Pop into this historic staple and enjoy the original wood bar, tin ceilings, and their phone booth that’s actually a bathroom. Beer and premium mixed drinks are usually around $3-5 a piece depending on what you order, and the newly added food menu is worth a stop alone. 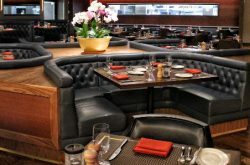 If you’re feeling hungry from all that biking, pop on in to Carbone’s to satisfy your craving for just about anything. 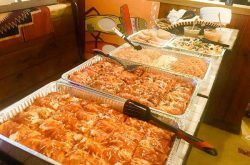 Pizza, subs, chicken wings, French fries, salads, sandwiches, and even tacos, if you want it they’ve probably got it. Their pizza is one of my personal favorites, and you really can’t beat $2/slice. Ever since McCarthy’s opened their brewery it’s been a destination for locals and travelers alike. 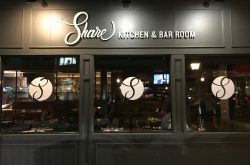 One of the most popular new additions is their outdoor patio, perfect for sipping on one of many signature or local beers on tap (which you can find right on their website). They also have a pretty hefty food menu with traditional pub fare and then some, plus they have birch beer AND loganberry. I mean, this is a no-brainer. We’ve said it before and we’ll say it again: Cook’s is the place to go if you like good drinks, great company, and not waiting in line. 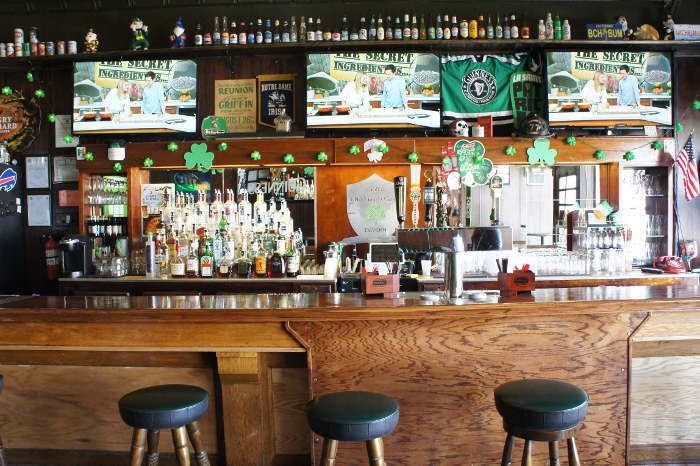 If you’re looking for a low-key hangout that offers a quieter atmosphere, plenty of bar space, pub games, and a mean Reuben sandwich, make your way to the corner of Katherine and Republic streets and enjoy that down-home feeling that epitomizes Cook’s Bar & Grill. 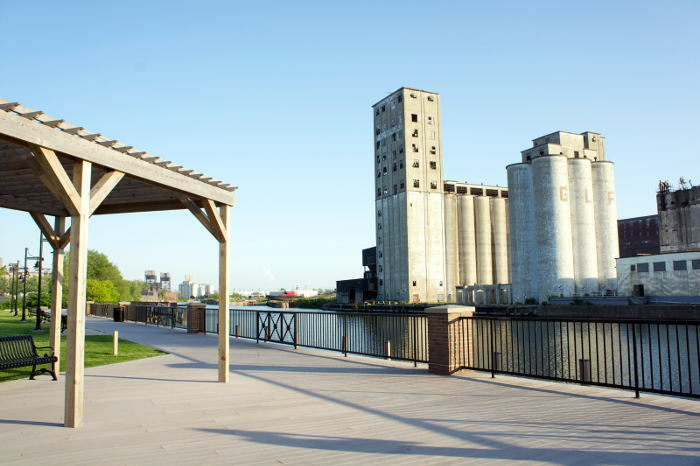 Opened in June 2011, River Fest Park was the beginning of the redevelopment along the shore of the Buffalo River. These days you can enjoy live music, trails, gardens, a boardwalk, water sports, and of course the view from this gorgeous three-acre public park. If you haven’t been here yet it’s well worth a pit stop on your biking adventure, and if you have been here before we don’t need to tell you twice. 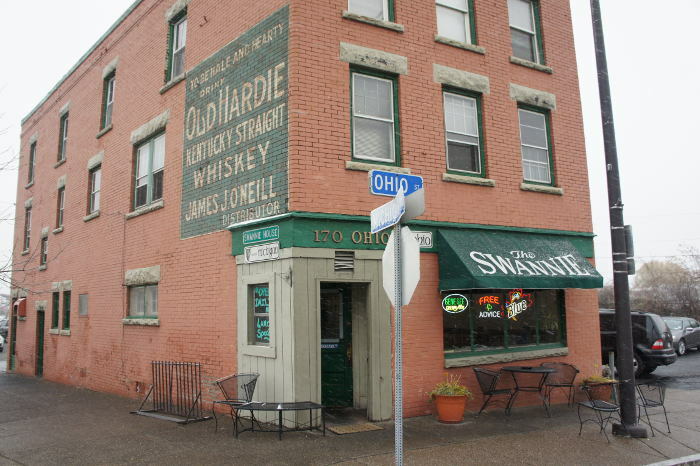 There’s something iconic about the Swannie House that makes it a renowned universal favorite. First opened in the 19th century, the Swannie House “has more history in its urinals than most bars have in four walls”. 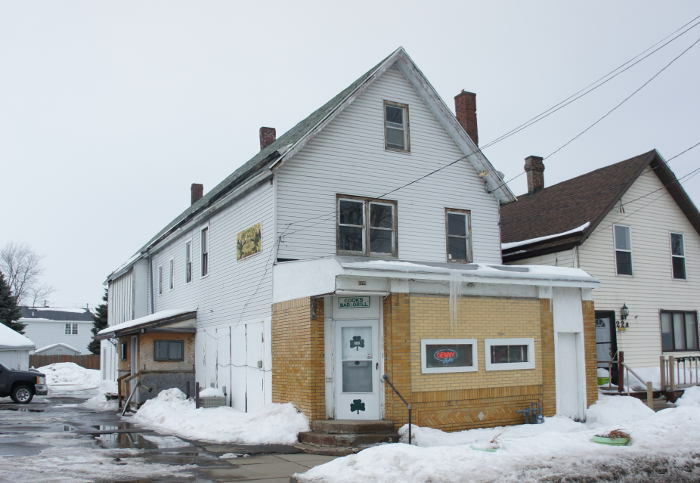 Make sure to snag a spot on their patio so you can take in the smell of Cheerios from the nearby General Mills factory, sip a cold beer, and order one of their famous fish fries the way the Swanerski’s would have wanted. After you’ve ogled the silos from River Fest Park and Swannie House peddle on over and see them in all their glory up close and personal. We’re not exactly sure you’re technically allowed to just wander around on your own here, but there’s plenty of ways to get inside throughout the summer. 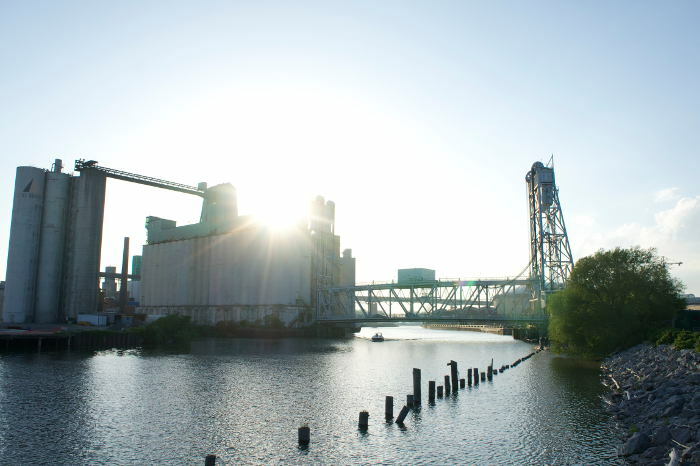 Take a guided tour –grounded or vertical- with Explore Buffalo’s expert guides or check out several events being hosted among these historic grain elevators including the Silo Fleas on some Sunday afternoons in spring and summer, among others. No matter when you choose to go, you’ll be glad you did. Spanning over 260 acres, Tifft Nature Preserve is a wildlife preserve and notable birding site with five miles of trails through marsh and forest. Animals from the entire region are known to take refuge here and once you’re at this urban sanctuary you’ll see why. Admission to walk the trails and enjoy Tifft Nature Preserve is free (donations are gratefully accepted), and guided tours are offered on Thursdays at 10am and 12pm for a $2 donation. While you’re in the Neighborhood, get your outdoor public art fix with a visit to Vinnie Alejandro and Yames’ Old First Ward Community Steel Building Mural at 60 Alabama St. that depicts the different stages of history along the Buffalo River over its 5000 square-foot canvas (below). 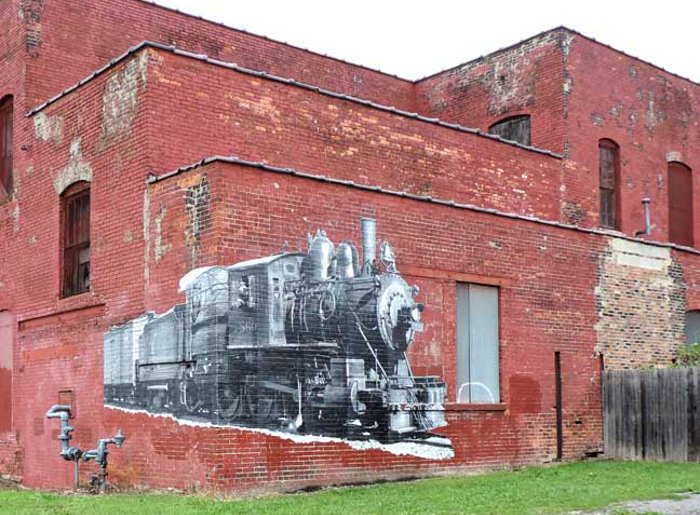 Also be sure to check out the nearly life-sized mural of a historically accurate Erie Railroad steam locomotive by artist Chris Kamek on the Quaker City Cooperage Co./Barrel Factory at 65 Vandalia Street (above). 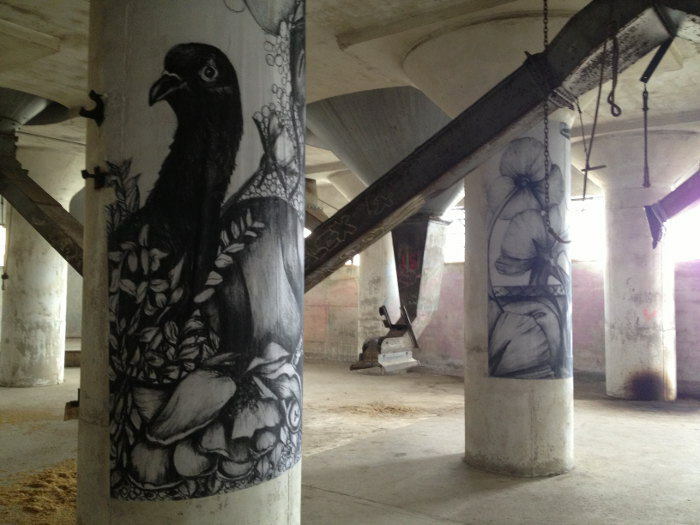 And if you enjoy both of those you’ll like our compilation of the Best Street Art in the Queen City.